As we continue to grow our team in response to new client wins and organic client development, we are delighted to welcome Sophie Collier to the business, who joins the team as Senior Account Manager. 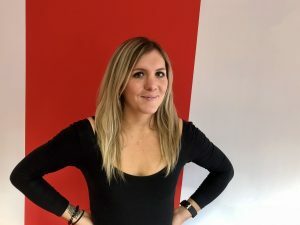 Arriving with a wealth of agency experience across the technology, food and health and fitness industries, Sophie will be honing her skills across a number of Popcorn’s clients including Panasonic and Bel UK. Sophie also brings with her significant in-house experience at the likes of David Lloyd Leisure, Protein World and LighterLife including senior experience working within an ecommerce environment and possessing a clear understanding of the importance of ROI and how to ensure PR & comms campaigns deliver both creatively and commercially. With a bigger picture approach to delivering PR & influencer campaigns that are adaptable for multi-channel use Sophie demonstrates exceptional PR vision, which we’re delighted to bring to the team and our growing portfolio of clients.